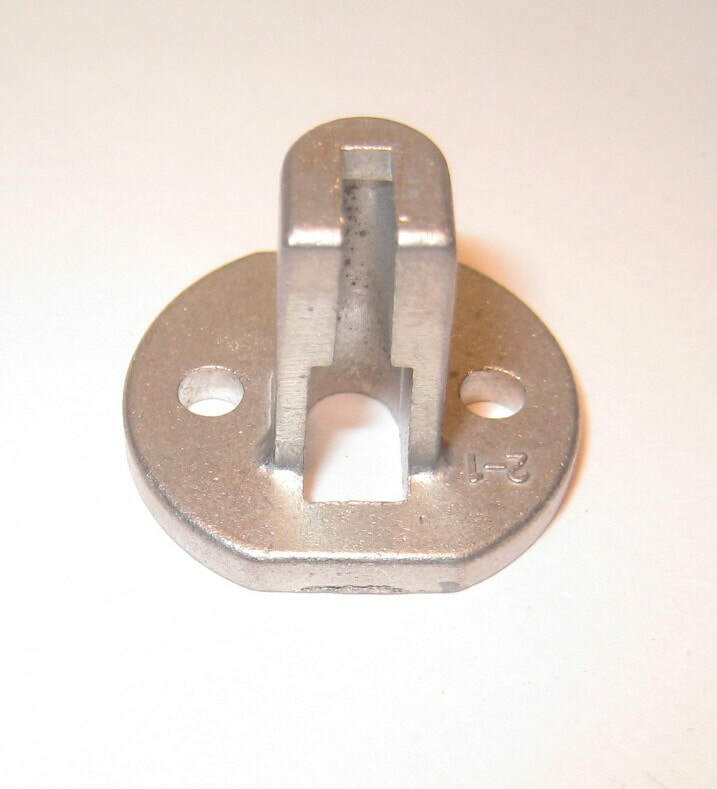 We stock nearly every genuine part for the 38mm Power Jet carbs. We also have very good quality reproduction throttle valves (slides) in a #2.5 and #3.0 cutaway. 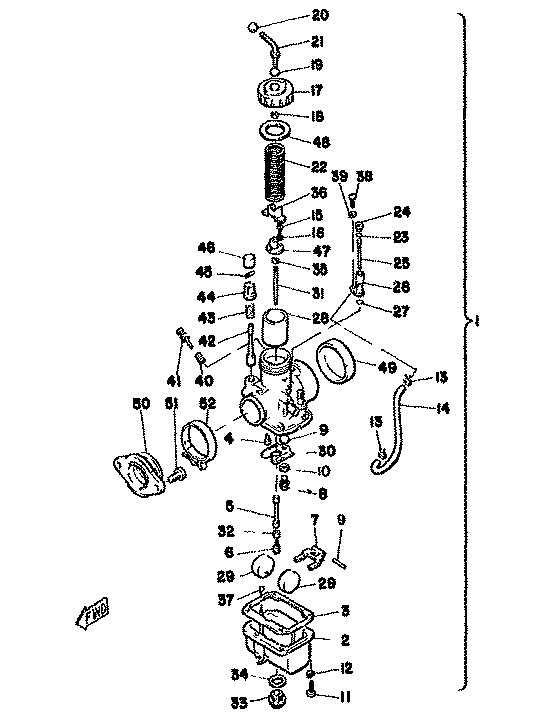 Use the diagram and list below to identify the parts you need. You can then telephone on 0151 924 5383 to order using a credit or debit card. 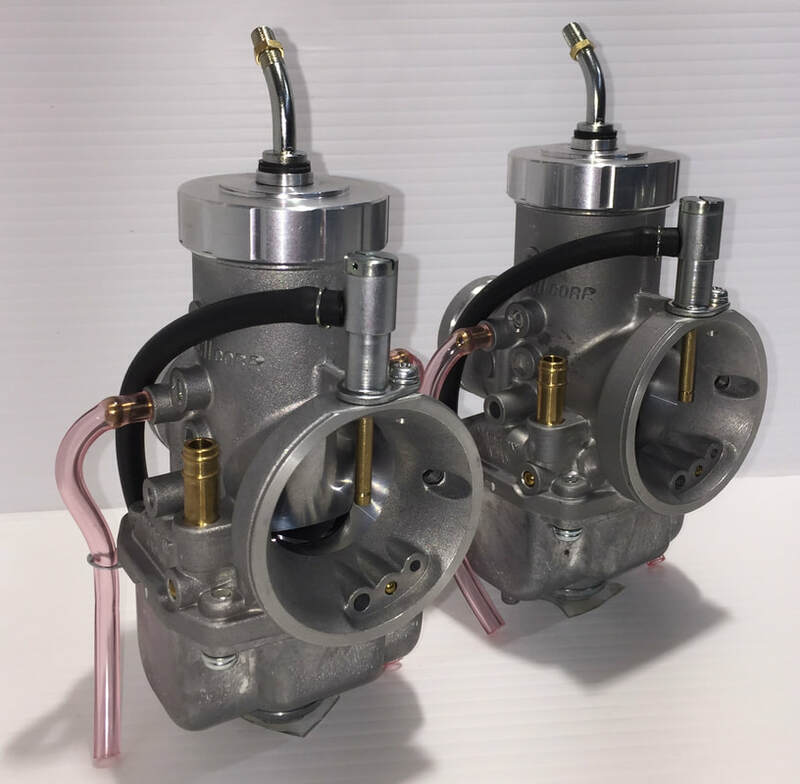 We do a lot of work with TZ350 VM38 power jet carbs, we rebuild them, we supply nearly every new spare part, we manufacture small batches of unavailable items, we build new Genuine Mikuni replica 3G3 spec carbs, we can convert your 26J reverse slide carbs to 3G3 spec. We can supply and fit UFO inserts to your existing carbs or supply new carbs fitted with UFO's. We worked in 2014 with a European based TZ engine specialist to get the UFO fitment right. The first time he fitted a pair of our new UFO equipped carbs to one of his TZ's, he did it at lunchtime during a full days testing. He didn't tell the rider he'd swapped the carbs out. The rider came in after a couple of laps asking what he'd done to the bike, saying it had much more mid range power and it was wanting to lift the front wheel. We've fitted hundreds of UFO's to competition carbs over the past few years, having UFO's fitted is a great opportunity to have us take a good look at your carbs and do any necessary work on them to optimise your carburation. Some of the TZ carb parts and services we offer are below. Please call Steve on 0151 924 5383 to discuss any work you would like us to do for you. Our 3G3 spec carbs are built as close to factory spec as possible. 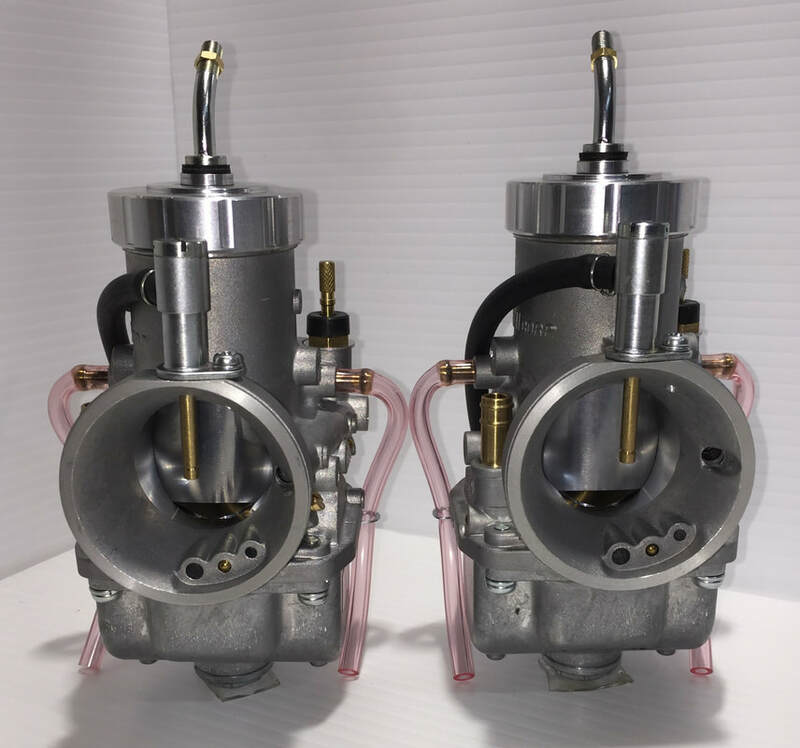 In addition to the jetting specification, our carbs have the correct 6 hole #3.5 float valves, 247 series needle jet, central cable post and spring seat plate, OEM Yamaha angled cable adjuster and knurled pull up starters. 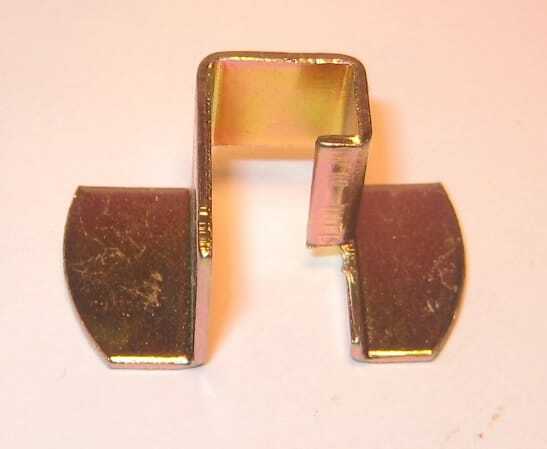 We even fit the correct weight throttle return springs. 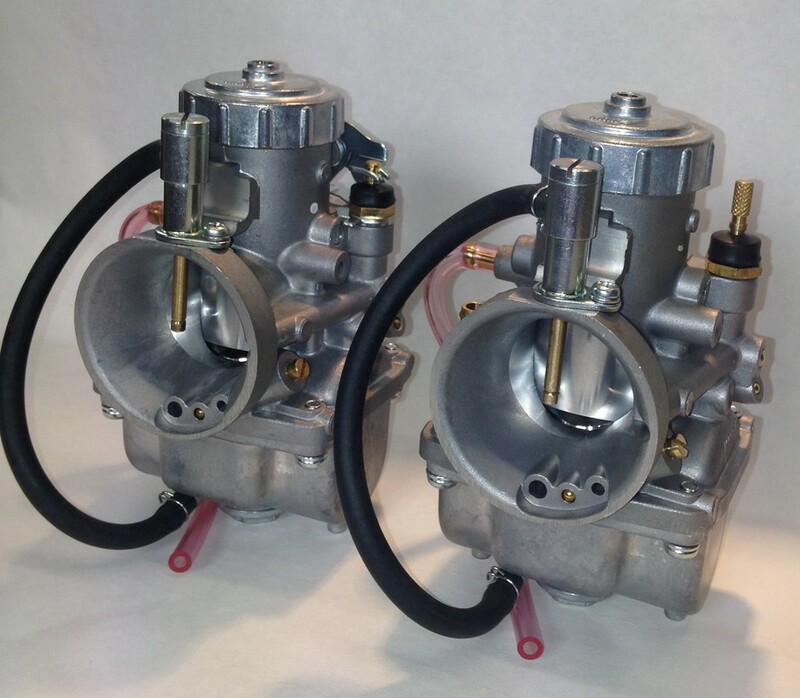 These carburettors are compatible with OEM Yamaha throttle cables. Available with a left or right side groove. We've sold over 200 of these valves with no issues. 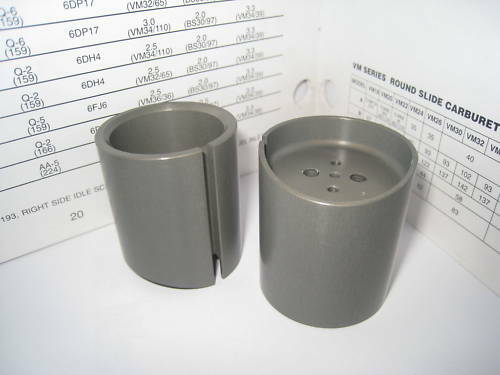 these are a good quality reproduction laser cut in stainless steel. No longer available from Yamaha or Mikuni.